How often do you sit down to a meal and think about the journey it took to arrive in front of you? Like most of us, probably not that often. In the age of take-out meals and cheap frozen dinners, it’s easy to disregard thinking about where your food comes from, where it goes, and who it affects. As food moves from farm to table, it affects everyone in the system. From the farmers to the consumers, and everyone else along the way, issues of food justice and food sovereignty greatly impact communities all around the world. Thankfully, there is growing conversation on rebuilding the relationship between people and the land and movement to revitalizing the food system in the United States. Listed alphabetically, these students groups and regular events engage the community in thoughtful discussions and often provide tasty meals! Please share any other recommendations with us at sustainability@uw.edu. This student-run group is the brainchild behind Humble Feast, a bi-annual communal meal that promotes local, sustainable, and delicious food! Other projects include their recipe book, and the Bean Basket store. In addition to their green related events, EcoReps also hosts regular Husky Green Markets in Red Square featuring local food vendors! 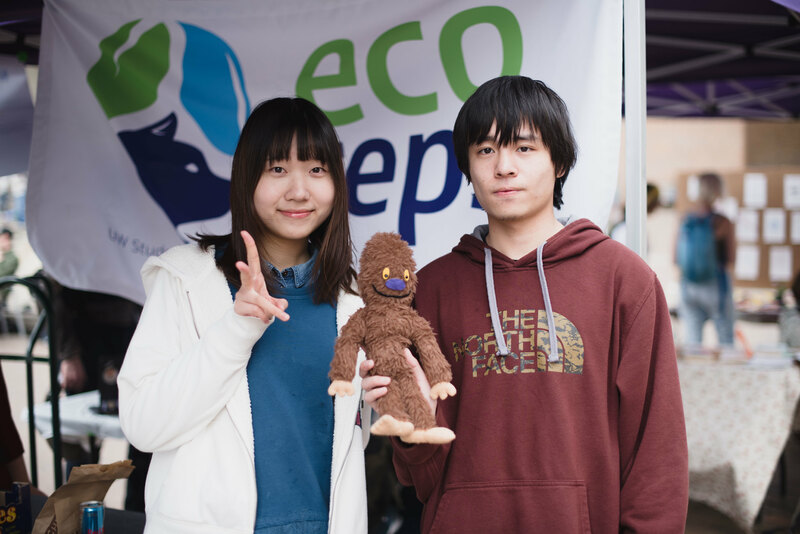 Follow UW EcoReps on Facebook to keep updated on future markets and other events. It is estimated that roughly $5 billion is spent annually on food by universities in the U.S. This is a huge fiscal sum, with marginal flow to sustainable, local and fair food producers. 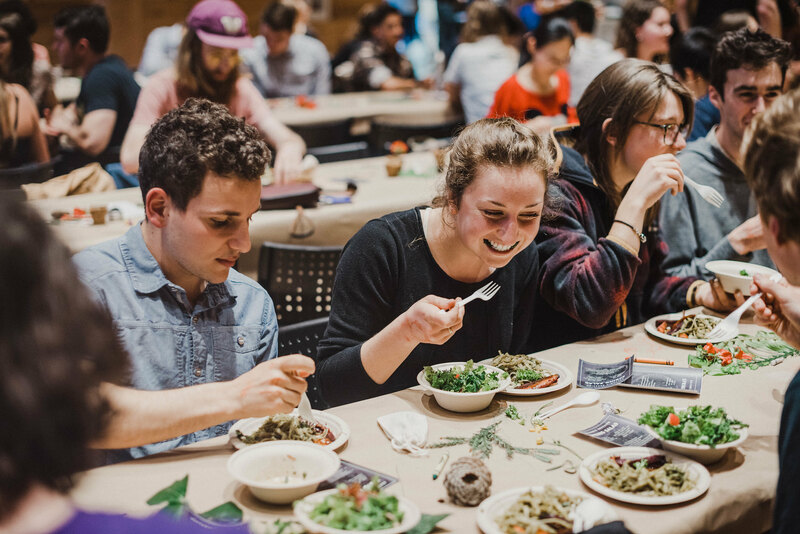 The Real Food Challenge is a national grassroots campaign to empower students to work with their dining services to increase 20% “Real Food” served in U.S. college campus dining halls by 2020, and 100% Real Food served as soon as possible. The UW Food Pantry is dedicated to helping the UW community combat food insecurity. The pantry provides students, staff, and faculty with access to shelf-stable, non-perishable goods and community resources at no cost. The pantry is currently moving to a new permanent home in Poplar Hall, and will reopen in November 2018. Check their website or Facebook page for updates on hours and how to utilize the pantry in the new space. Just up the street from Trader Joe’s on Roosevelt, there’s another grocery store lined with apples, toiletries, baby food, and pet food, albeit with a big mission: to prevent hunger in Northeast Seattle neighborhoods. Founded in 2004 as a community center for urban agriculture and sustainability studies, the UW Farm is now a 1.5 acre, student-run farm that provides produce for kitchens across campus. With regular volunteering opportunities and events like their annual Farm to Table Dinner, getting involved with the UW Farm is an opportunity unlike any other! The Whole U has implemented various programs that promote holistic wellness that all UW faculty and staff members can use! Check out their “Eating Well” section. The University of Washington's American Indian Studies Department annually co-sponsors a symposium to bring together students, indigenous scholars, Tribal leaders, and educators to learn about tribal food sovereignty, food justice and other interconnected topics. Stay informed by signing up for their mailing list. Join in on this weekly seminar series to examine the intersection of food, nutrition, and public health. Open to the public, Students can register for this 1-credit course as NUTR 400 (undergraduates) or NUTR 500 (graduate students). Along with other great events, be on the lookout for cooking workshops at Local Point for hands-on experience with culinary chefs and nutrition experts! 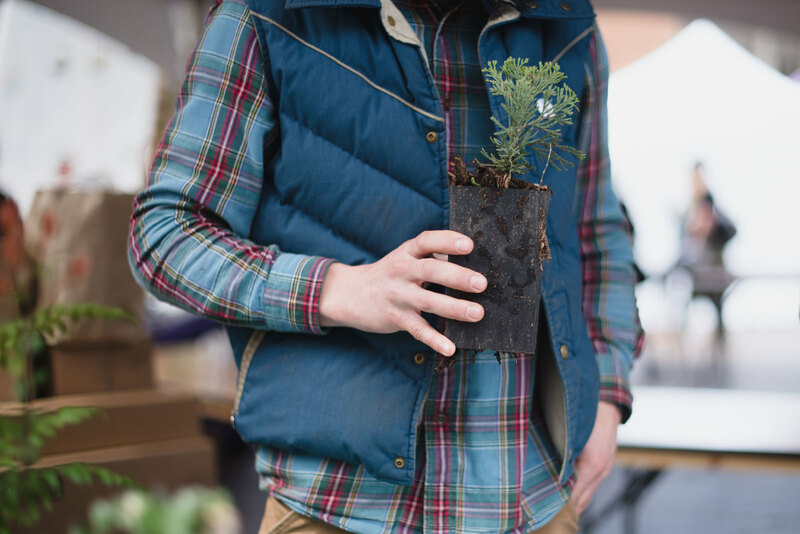 If you're looking for more resources, Seattle Tilth has their own list of even more Seattle based, sustainability focused organizations and groups.